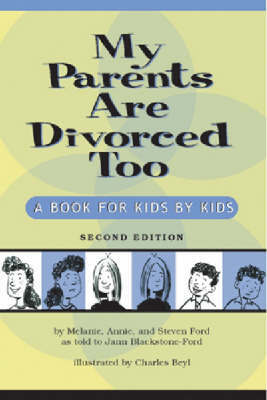 Melanie, Annie, and Steven Ford pack lots of simple truths and ""I have been through it"" advice into this wise little book about their struggles and triumphs through their parents' divorce. Now in its second edition, with more insights and humor from cartoonist Charles Beyl, this is the guide for kids with divorced parents, from some of the best teachers around - kids like themselves! Buy My Parents are Divorced Too by Melanie Ford from Australia's Online Independent Bookstore, Boomerang Books.